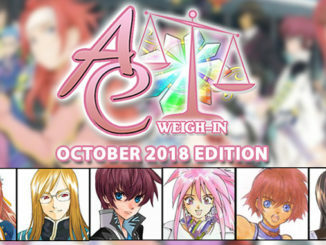 What's in store with Vesperia Definitive now released? 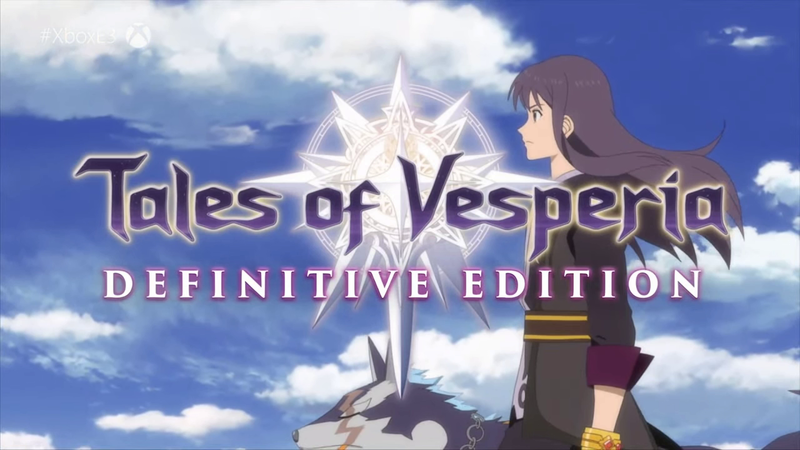 How has been the reception of Tales of Vesperia: Definitive Edition so far and what are your own thoughts on the release? 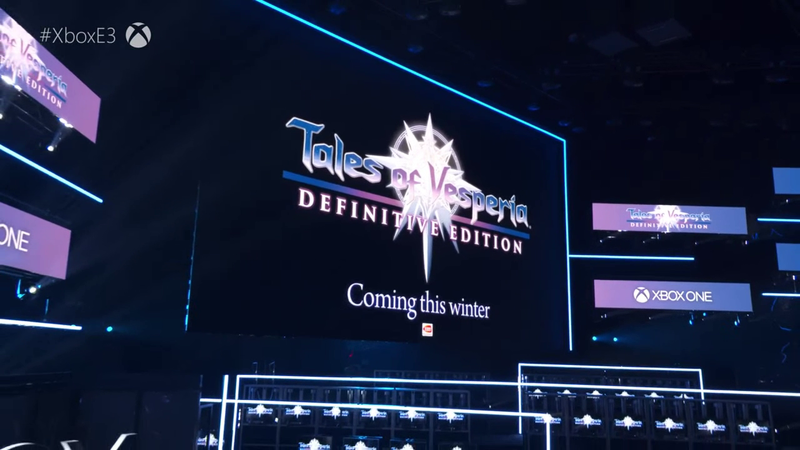 I've heard nothing but great things about Tales of Vesperia: Definitive's release and I'm honestly very happy about it. Granted, we have those complaints about the whole voice actor issue here and there, but I see more people not really caring much about it. I still do wish it didn't come out during the same time as other, honestly speaking, more anticipated major titles, like Kingdom Hearts 3 and Resident Evil 2 Remake. 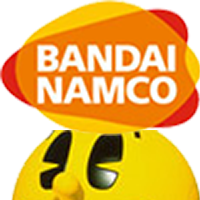 It would have given the game more spotlight, albeit just a tiny bit. 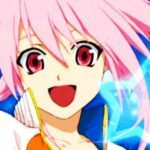 In my experience, the reception for Tales of Vesperia: Definitive Edition has been overall positive. I have seen posts online of both new and old players enjoying it. As for myself, I'm enjoying it as well! It might be nostalgia of my first playthrough, but I'm having a hard time putting it down. It feels fun to play a classic Tales game again. I've definitely been enjoying it, and I've seen a lot of excitement around the fandom. Sorry, I haven't really been following it closely. 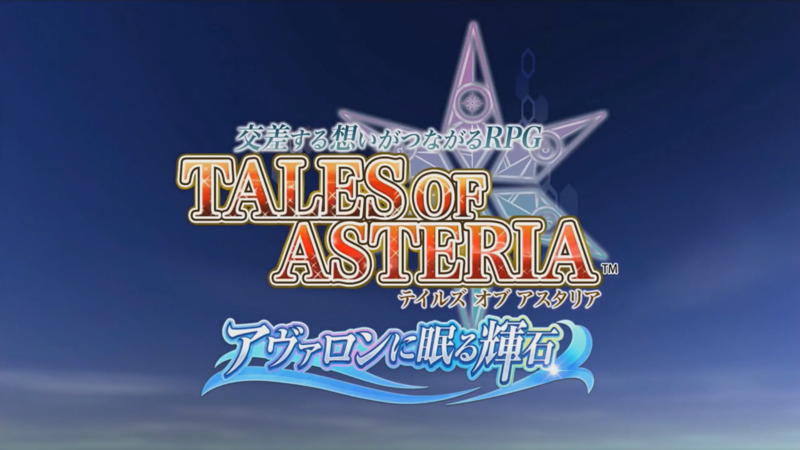 What platform would you like to see more Tales on? I don't own a Switch, but seeing as how well the console is doing, I think business-wise a new game on Switch would be a good idea. I say there's a neck to neck market between PlayStation 4 and Switch gamers these days. Personally though, given my busy schedule I'd love to see more for the PC since it's practically the only thing I can play on these days (at work...). My primary platform of choice is PS4, so I'm inclined to say that, but the Switch has proven itself to be more appealing to me. Throughout last year, there were several times where I had wished that whatever non-Switch game I was playing would be on Switch. I think the Switch would be a perfect spot for future Tales games and it would be fun to have a fully fledged Mothership title on the go! I'm a huge Sony Playstation girl at heart, but I'm also very thirsty lol! 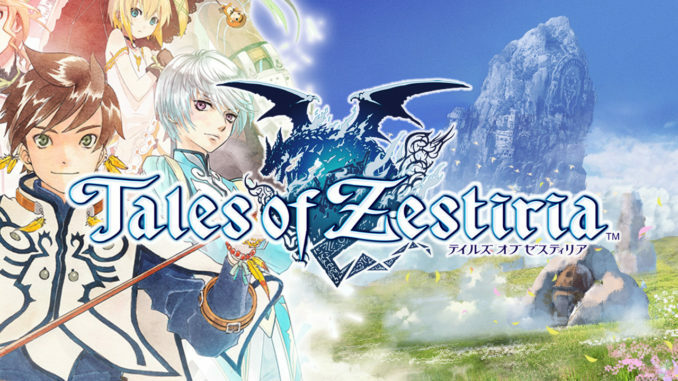 As embarrassing as it is to admit, a majority of my console purchases in the past have been made solely for the release of a Tales game and I doubt that's going to change regardless of where my platform loyalties may lie. PS4, as it's my primary system, but I'm really glad it's coming consistently to PC so more people can play it. I'd like to see more on the Switch because of its portability. 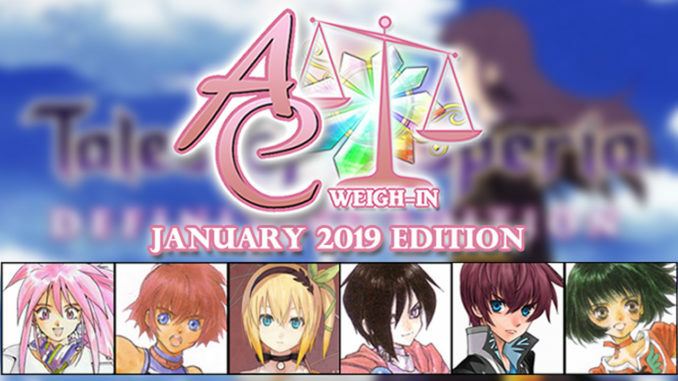 With Tales of Vesperia: Definitive Edition now released, are you looking forward to what's in store for us with Tales of Crestoria? 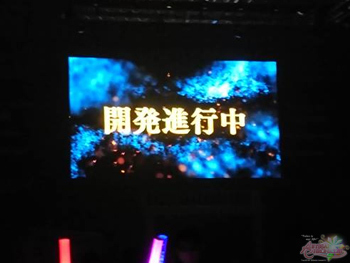 I have to say I am pumped for Crestoria, especially since we're seeing an English release! I do hope it lasts as long as the gazillion mobile games out there that do have English releases though. Hey, if they can do it, this should, too! I'll keep an open mind, but it's not capturing my interest at the moment. Absolutely! My motto is don't knock it until you try it and I highly encourage others to do the same. I was already looking forward to it~ Heh. 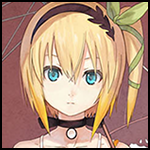 Yeah, i hope they announce the release date for Crestoria soon (and please give us any info 'bout the new mothership, too). It seems interesting, but I'm still kind of mixed about it just because it's a phone game. That's the kind of thing I'd like to see show up on something like the Switch too. I think it will be interesting though. Yes! 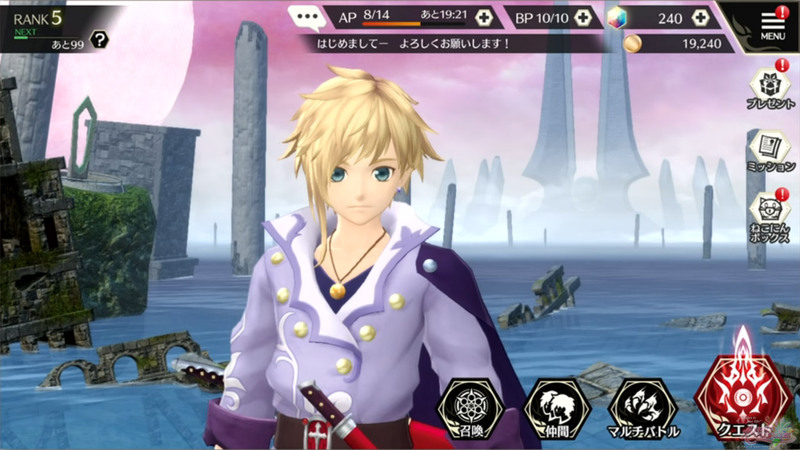 I've really missed the Tales mobile games, as I was a bit addicted to Tales of Link, so I can't wait for Tales of Crestoria. I'm hoping its worldwide release lasts longer than the other mobile titles, but I'm definitely willing to give it a shot either way. 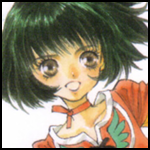 Have you been playing any of the mobile Tales games in general? What mobile Tales game have you invested most time in? Sadly I haven't due to the lack of English, but I am playing some mobile games that do remind me of Tales a lot. Case in point, Epic Seven. Please don't hit me. Before it closed down, I spent a lot of time playing Tales of Link. I worked as hard as I could to get Reid so I could have him as my main guy. I never finished the main story, but it was fun to pick up and play every once and a while. One regret I have over it though is that I accidentally sold one of my Ludgers. I tried my hardest to get him back, but it was to no avail. YES!! 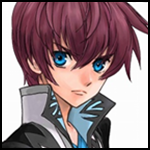 I've been playing Tales of Asteria for years and if my translation work is any indication, I'm a huge advocate for Tales of the Rays. It really knows how to cater to us seasoned fans (yanno, when we aren't salty wrt gacha anyway l-lol). I've definitely spend the most time on this mobage and don't foresee myself stopping anytime soon! Not lately. 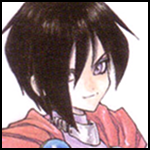 I really, really, liked Tales of Link though, and still miss it. Yes, I played a LOT of Tales of Link. Its simple and quick gameplay made it easy to pick it up for a few minutes at a time throughout the day. 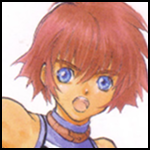 I played Tales of the Rays too, but usually rushed through its events right before they expired because its stages took longer to complete. The humorous writing in both games was a lot of fun though. For the next major (aka Mothership) Tales game, what exactly are you looking forward to or hoping for? Oooh boy, here we go. No more dark stories to go with the gaming status quo. No more edgy heroes with dark pasts who are so badass they can hold their own. Bring back the lovable Tales I know that's all about the fantasy and the journey and the main character who goes through major character development, the lightheartedness and the comedy, the cliche friendship story lines. That's what I actually wish more. IMHO Tales used to be more fun when it was still such a simple concept... Also possibly better graphics? If they can pull off KH3 level anime-ish graphics, then that's something. I want them to go back to basics a bit. 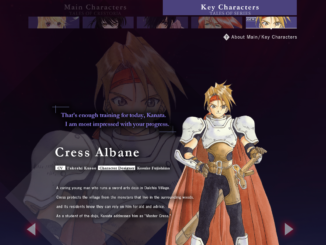 Primarily, I'd like to see the battle system go back to something more simply like Vesperia, even an Xillia style battle system would be fine. I'll eat it up like a plate of chili cheese fries regardless, but if I had my way, that would be my focus. But all that are only distant dreams. 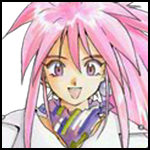 Anyway, i'm excited to see what a Tales produced by Tomizawa-san looks like. A fun game with some characters I can relate to on some level. Although, I have to say, I'm kind of ready for another character like Lloyd, who says no to self-sacrifice. I'm getting a little tired of that theme. 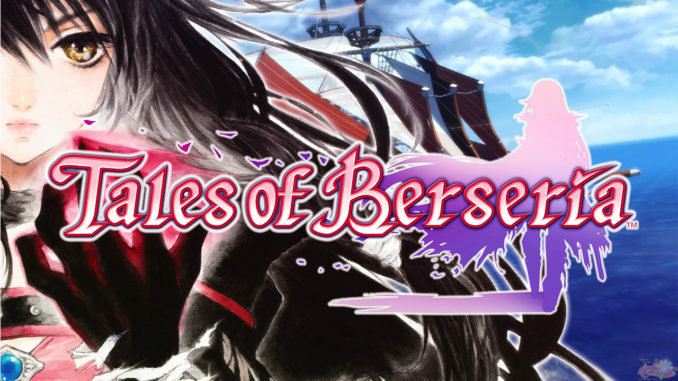 I'm really hoping for good multiplayer gameplay because my friends and I loved playing Berseria together. And a good story and characters, of course!